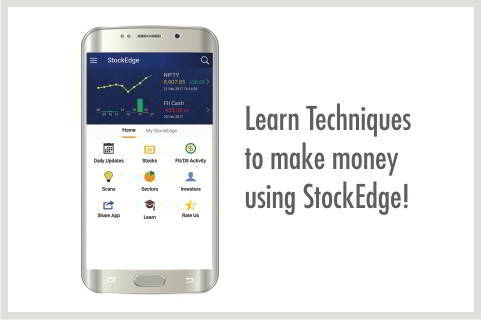 This webinar will teach you how to become a pro in terms of investing and making money from stock market using StockEdge. Loads of useful charts that makes market analysis very convenient for the users. Introduction to various tools, techniques and strategies used in Stock Market. Get revealed to the techniques used to predict the market. Know how by following a few proven steps you can make money without depending on others. Vivek has experience of more than 15 years as a trader in equities, options, currencies and commodity markets. The passion towards data, analytics and technology is what makes Vivek Bajaj a financial market winner. He strongly believes that mastering usage of technology and big data is the key to success in financial markets. To bring this power in the hands of masses he co-founded StockEdge. The app is committed to bring simplicity in complex world of market data.